US Acute Care Solutions (USACS) has achieved exceptional, industry-leading results in malpractice risk management and patient safety. Our proactive hospital risk management program brings together nationally recognized experts in integrated acute care and medical malpractice to develop essential risk management strategies. To help prevent patient injuries and deaths, we diligently collect and analyze reliable patient safety information. We use this outcome data analysis to uncover the core malpractice risks in the emergency department and address those risks with continuing medical education. This multifaceted approach helps to identify medico-legal risks before they become medico-legal cases, while reducing physician liability. Even the most compliant medical risk management behaviors may not be able to prevent all malpractice claims. Our risk management program ensures physicians receive support, guidance and expert legal representation if they are the targets of a lawsuit. USACS is the only acute care provider that owns its own malpractice insurance company. Every full-time equity owner physician has an equal share in the company, creating an intrinsic drive to provide state-of-the-art risk management. 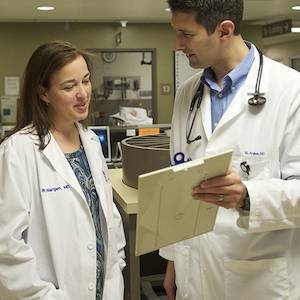 The USACS FailSafe program provides clinicians with 24/7 phone access to experienced, senior physicians. This helps to decrease risks and ensure our physicians are never alone in managing a potentially risky situation. Check out this blog post from USACS Vice President of Claims and Risk Management, Dusty Otwell, outlining three steps to meaningful risk management. See first-hand the benefits of utilizing USACS's emergency medicine consultants in our hospital management case studies, or contact USACS to learn more.